After having lunch, we continued our journey to Purworejo Train Station. Passing through Jalan Jendral Sudirman, on the right side there's an old building complex that is still in good condition. The building is the former Hollandse Kweekschool (HKS) that now used as SMA Negeri 7 Purworejo. The building is established in 1914, as the continuation of Kweekschool in Bandung. Kweekschool is a formal education to become a teacher during the Dutch East Indies period, and its used Dutch language as the language of instruction. 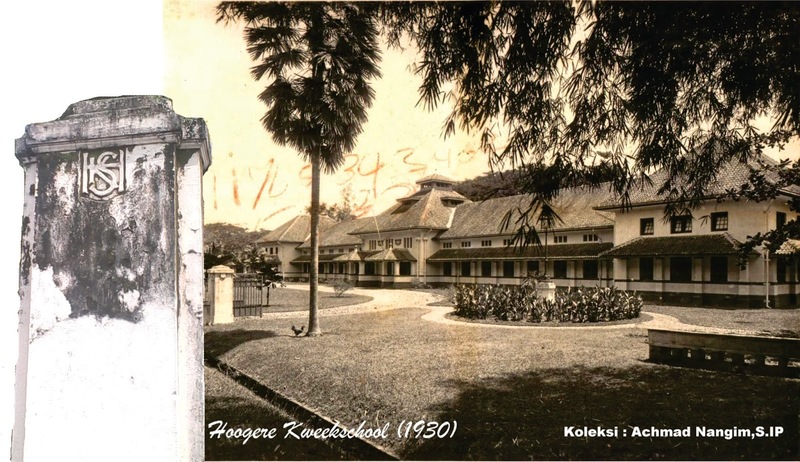 In 1930, this school were merged into Hollandsche Indische Kweekschool (H.I.K) in Bandung, and the building of HKS in Purworejo become Meer Uitgebreid Lager Onderwijs (MULO), a Junior High School at that time. After the independence, the building used as an institute to educate the teacher or known Sekolah Pendidikan Guru (PGS). Thus until now, even my Mom, recognize it as SPG building. 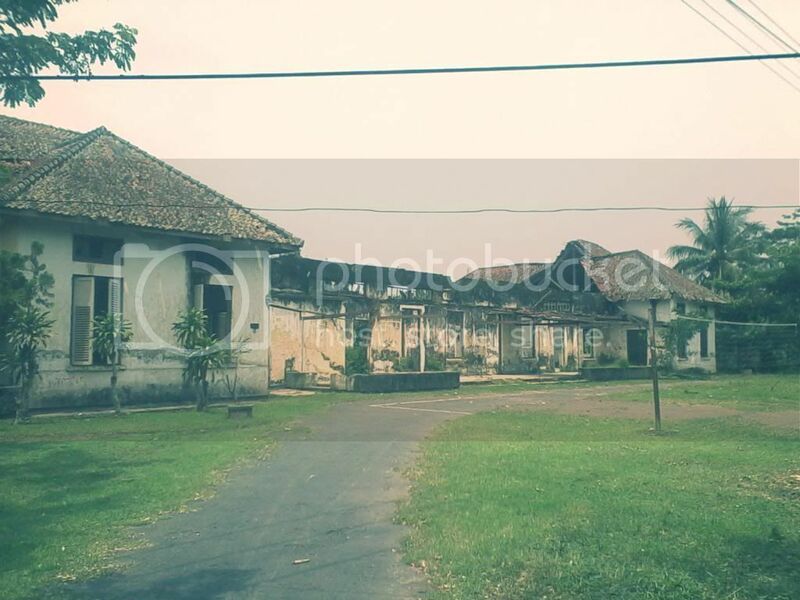 But in 1991, the building used as SMA Negeri 7 Purworejo until now. this building was used as HKS campus, a school for . A couple minutes from the HKS, we arrived in Purworejo Train Station. 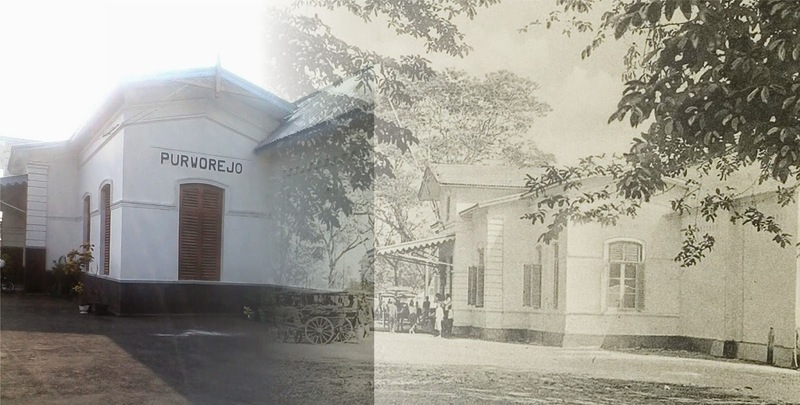 According to the text that now displayed in the main hall of the station, not so many changed occured in Purworejo Train Station. This station which is built in 1887 by Staats Spoorwegen (SS) are representing the architectural style of the train station in the 19th century, simple and counted heavely on its function rather than the aesthetics aspect nor certain architectural style. Thus, the PT Kereta Api Indonesia (KAI) as the operator of the railways services in Indonesia now categorized it as a cultural heritage site. Once, when I was 5 years old, I became the witnessed of this line was reactivate by the Ministry of Transportation at that time, Haryanto Dhanutirto in 1996 after it was inactive for several years. The people celebrate it by coming to the station and saw the incoming train from Kutoarjo, a city that located in the main line of Jakarta-Jogjakarta line, the nearest station from Purworejo. Only one train arriving and departing from this station , that is the feeder train serving the lines between Purworejo-Kutoarjo. Since November 2010, the feeder train is no longer operated due to the condition of the railroad that getting old and havent been renovated for a long time. Thus, the line now became inactive again until uncertain time. From the station, We moved to visit my childhood house that located in Jalan Kesatrian, behind the military complex of 412 Batalyon, or well known as Kedung Kebo military facilities. This was one's of the military complex that inisiated built by the Dutch in order to repelled the Diponegoro rebellions during the Java War using the Benteng Stelseel (eng: Battlefield Fortification) strategy. It was implied since May 1827, the Battlefield Fortification means that fort was not only have a passive role in the military defense, but it’s emphasized that the fort has active and important role as quarter for offensive operation, military command and control and logistic purposes. Balai Prajurit building in Purworejo, 2014.